Don't leave your best friend back home while you enjoy the beach. 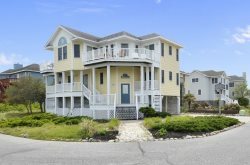 We have many Outer Banks pet friendly vacation rental options because vacation isn't the same without the WHOLE family. Dogs need vacations too.